I’ve spent about 4,194 days working in advertising. No two have been the same. 7.40am: I awaken to birdsong. It’s not birdsong. It’s an industrial drill boring a hole in the side of my house. Which is just as well, because I have an 8.30am breakfast meeting to get to and I was dreaming about a cat giving a Powerpoint presentation. I am not a morning person. 9.45am: I have a new trick. It is simply: spend the first two hours of the day on the hardest thing you have to do. In my case, it’s writing several strategy award papers. I find it helps enormously to get the thing that’s worrying you most off your plate first. Like kale smoothies. 11.47am: Write an email to my neighbour enquiring politely* about the drilling this morning. *not that politely. 12.35pm: Lunch at my desk while I prepare for a 1pm meeting to discuss an initiative of mine called Get Out There. It’s about getting strategists away from our laptops and out into the wild. In this way, we hope to grow more connected with a world that is increasingly divided. 2pm: Call with a researcher from San Francisco who wants to find out more about Get Out There. News travels. 2.45pm: Interview with the Financial Times who are writing a special report on advertising effectiveness. 4pm: Meet a Psychology student who’s eager to get into planning. I try and be as honest and open as I can about the job and the industry – it’s her future, after all. I didn’t even know what a Planner was when I started, so I’m sure she’ll do well. 5pm: Tying up loose ends. Emails. Finish an article for The Huffington Post. 6.30pm: Dinner with several clients in our private dining room. One is a premium gin brand, which lubricates the evening nicely. 11pm: Home. Sleep. Dream about drilling. 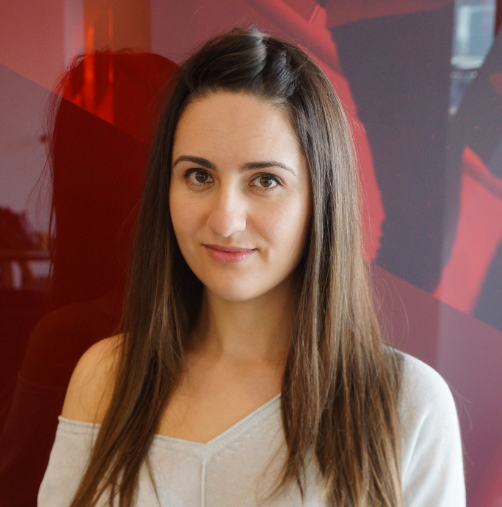 Marie is currently a Planning Director at Ogilvy & Mather London.